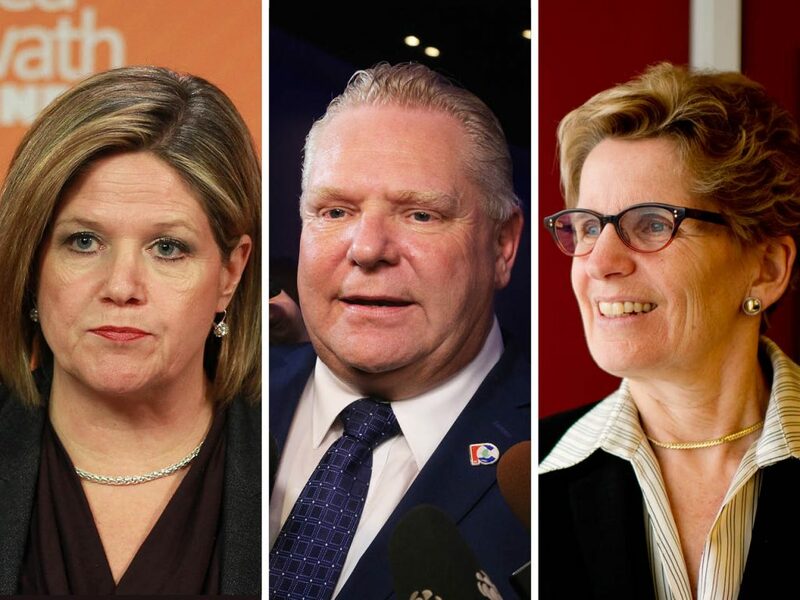 The final debate between party leaders ahead of the June 7 Ontario election starts at 6:30 p.m., hosted by the Canadian Broadcasting Corporation, or CBC. More coverage to follow. Image of the candidates from Chatelaine.